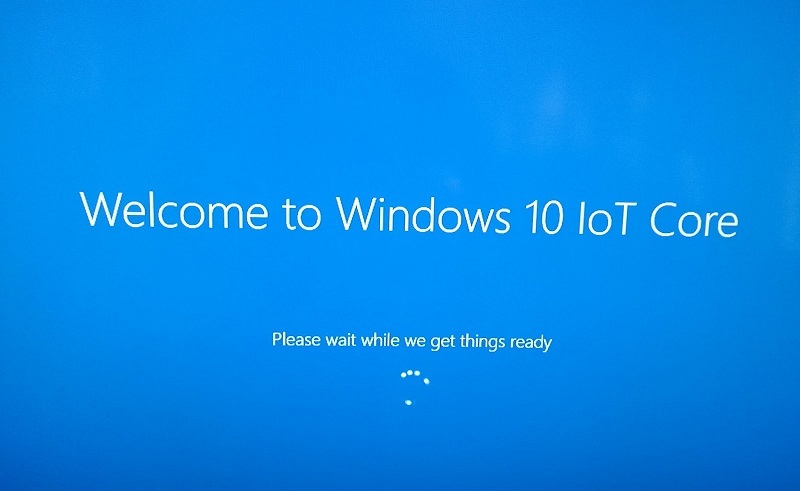 Windows 10 IoT Core version 1703 is now officially available for download. The new Windows 10 IoT Core build 15063 as part of the Creators Update brings many new features including Cortana, improved developer tools, additional APIs, new code samples, and more. The new IoT version also added new hardware like Intel Joule, Intel Pentium N4200, Intel Celeron N3350, Atom x5-E39xx processors (formerly Apollo Lake) and Raspberry Pi 3 SOMs. Cortana on Windows IoT Core – Cortana is now available on Windows 10 IoT Core. Verified support for Windows 10 IoT Core on Intel Joule, Intel Pentium N4200, Intel Celeron N3350, upcoming Atom x5-E39xx processors (formerly Apollo Lake) and Raspberry Pi 3 SOMs. Toradex has enabled support for their Colibri T30 SOM using the NVIDIA Tegra 3. Allwinner has enabled support for their Pine 64 and Banana Pi devices using the Allwinner A64 SoC. Discovering your Remote Devices – No special software is needed to discover your devices that are signed in with your Microsoft Account. New UWP APIs And controls for vibration, brightness, modern connected standby, power management, battery charge and NFC (w/o HCE). New buses and capabilities for ARM PCIe, USB function mode, Wi-Fi Direct and GPIO interrupt counting API. Improved Tools – VS Code, improved Node.js and Python support, New Windows Device Portal and IoT Dashboard features, VS 2017 support. New high precision GPIO APIs – New APIs (Windows.Devices.Gpio.GpioInterruptBuffer) for precise and efficient measurement of pulse widths using GPIO interrupts. GPIO providers include new Interrupt Buffer interface to allow for high precision interrupt timing for applications like rotary encoders and distance measuring devices. Azure Device Management Support – OEMs can use the Windows IoT Azure DM client library to add device management capabilities to their Azure IoT hub connected devices. Device Guard for IoT – Device builders can now fully lock down IoT devices and get advanced malware protection against new and unknown malware variants. This can be done by specifying signing authorities for permissible applications and drivers that run on the device while disallowing execution of unknown or untrusted code. This means improved security against malware and zero-day attacks. A change has been made to the default BCD settings to prevent devices from attempting to boot to recovery mode when recovery mode does not exist. IOT_POWER_SETTINGS feature now includes powercfg.exe. This is available for all architectures (ARM32, x86 and x64).